SARAH Murnaghan is a-10 year old American girl from Philadelphia who has been passing through ‘pain, hell and presently under intense suffering’. She has dreams, visions and aspirations to become so great, but all these seems fading away as she has 7 to 14 days to stay alive. She needs prayers, God’s divine intervention now as medical records say she is at the end stage of ‘Cystic Fibrosis’ for 18 months. 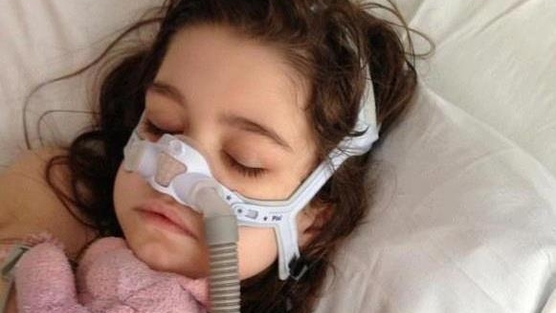 She is said to be very weak and too sick to leave Children’s Hospital of Philadelphia, United States. Naija Standard learnt from an electronic mail we received that Sarah has only a week or two before she will lose her battle. If she were two years older, she would have had a high probability of receiving lungs in time. Sarah is eligible for adult donor lungs, but because of her age, she will only receive them after all adult candidates, regardless of how sick they are, have the opportunity to accept them. This is a policy created by the Organ Procurement and Transplantation Network (OPTN), the nation’s organ procurement, donation and transplantation system and enforced through United Network for Organ Sharing (UNOS) which manages US organ transplant system under contract with the federal government. Based on a 2000 ruling by the US Department of Health and Human Services, which mandated that organ allocation policies must be based on medical necessity rather than waiting time, OPTN implemented a new allocation system based on the severity of a patient’s illness (the Lung Allocation Score, or LAS), rather than the amount of time served on the wait list in 2005. This reduced the number of deaths among patients awaiting lung transplant, ensured lungs were allocated to those with less stable diagnoses, and dramatically reduced the average wait time from over two years, and reduced the wait list by half. This new approach only applied to patients over the age of 12. This approach was not extended to children. Despite the fact that many pediatric patients can use a partial lobar transplant from an adult donor. These young patients are only offered adult donor lungs after all adult patients, regardless of the severity of the child’s illness. While Sarah has an LAS score over 60, which would normally place her as the highest priority for her blood type in region, all adults in region with her blood type will be offered the lungs first, even those with more stable diagnoses and lower LAS scores. 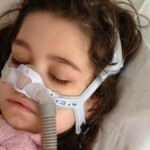 Sarah will only be offered adult lungs if no adult candidates accept the organ. Sarah is a top priority on the pediatric list, but the pediatric donors are far fewer than the adult donors, dramatically reducing the number of lungs Sarah is offered. So far in 2013, there were 1,133 adult deceased lung donors and only 70 under the age of 12. The result is only 4 pediatric lung donor recipients in 2013 and 291 for those over 12 years old. This policy needs to change. The OPTN/UNOS Lung Review Board, a national group of transplant physicians and surgeons, can make an exceptional ruling for Sarah. And they can recommend new policies to OPTN. John Roberts is President of the OPTN/UNOS Board of Directors.